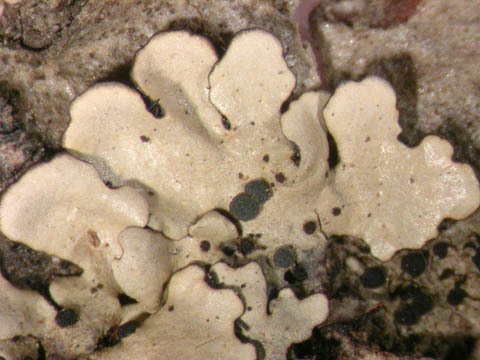 Lichenicolous, on the thallus of Parmelina tiliacea, teleomorphic and anamorphic stage often present. Belgium: Mosan: RRR, Ard. : RRR.